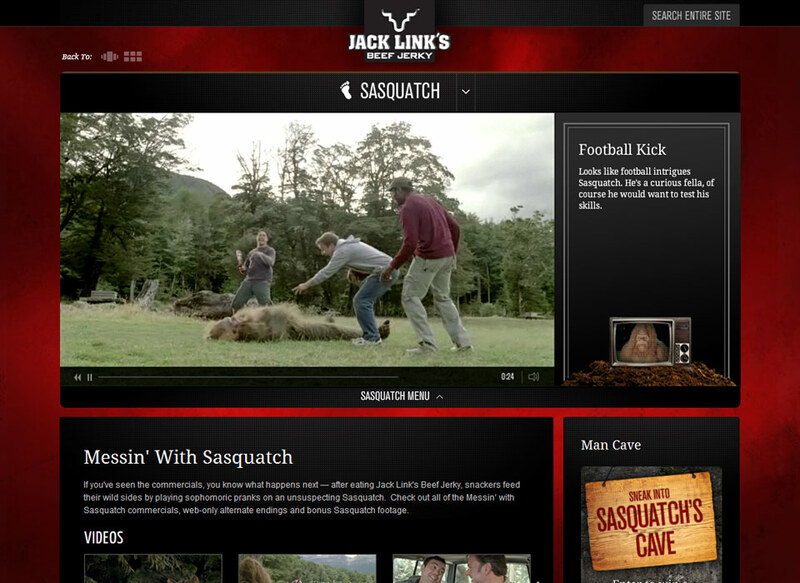 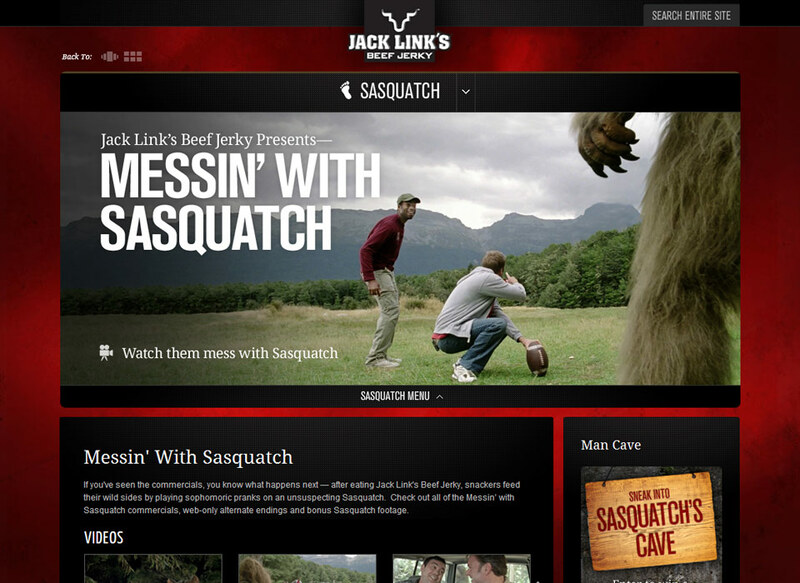 Jack Link’s is the leader in the meat snack category and well-known for its iconic Messin’ with Sasquatch campaign. 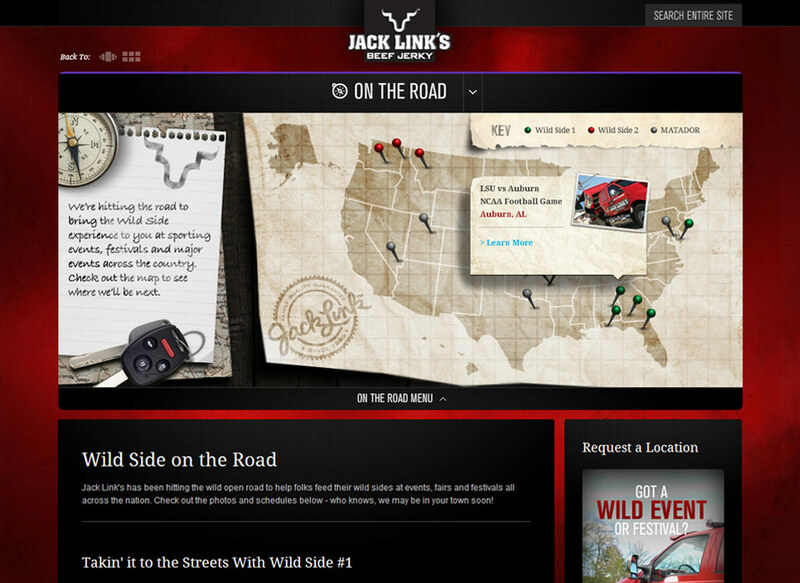 As part of their website redesign, Jack Link’s wanted the site to comprise of 40% custom content, and 60% Jack Link’s related content acquired via live feeds (RSS, Twitter, YouTube, Google Alerts, etc). 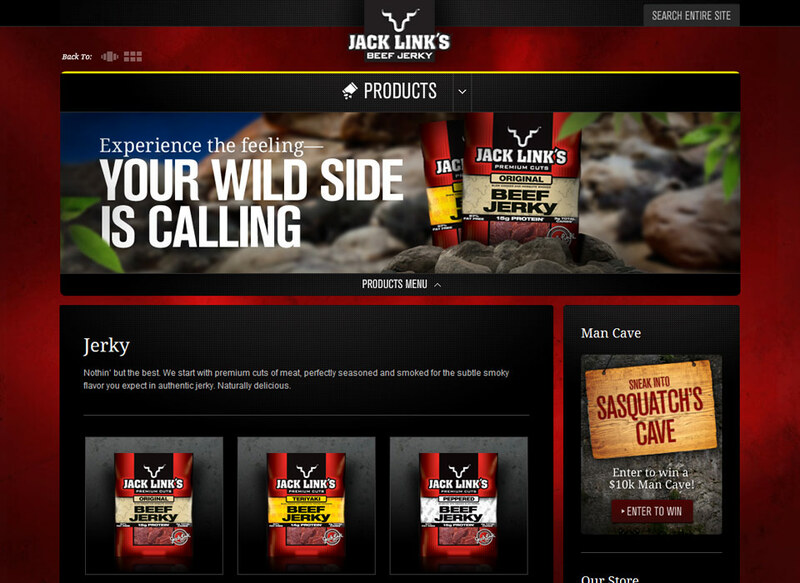 After a robust Discovery and Information Architecture engagement, we created a fresh, sophisticated look & feel for the brand that included over 150 custom photo treatments with messaging. 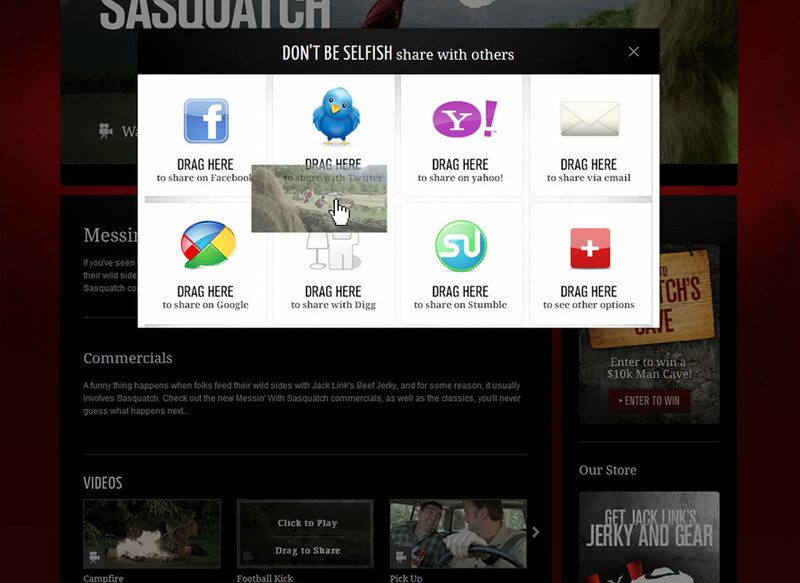 We also made the site social media friendly by enabling the majority of content to be shared across a large variety of social sites via drag and drop sharing technology. 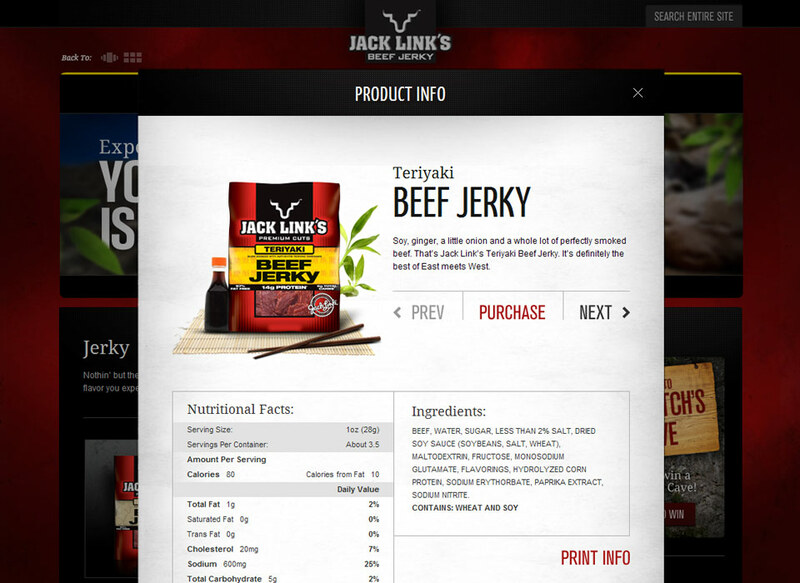 The site is loaded with features and content, including television commercials, 50+ videos, 17 live data feeds, games, photos, interactive maps, and a new eCommerce storefront. 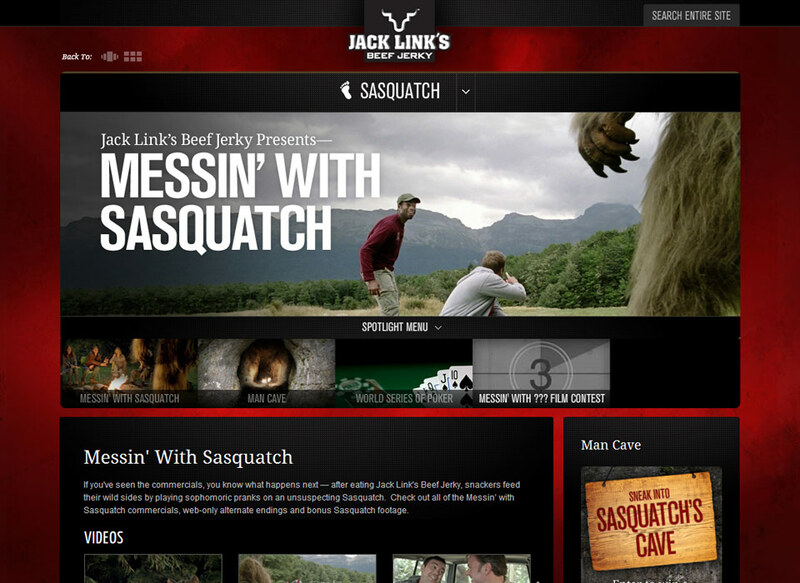 The store enables Jack Link’s to sell all of its meat snack products online as well as branded wearables such as t-shirts and hats. 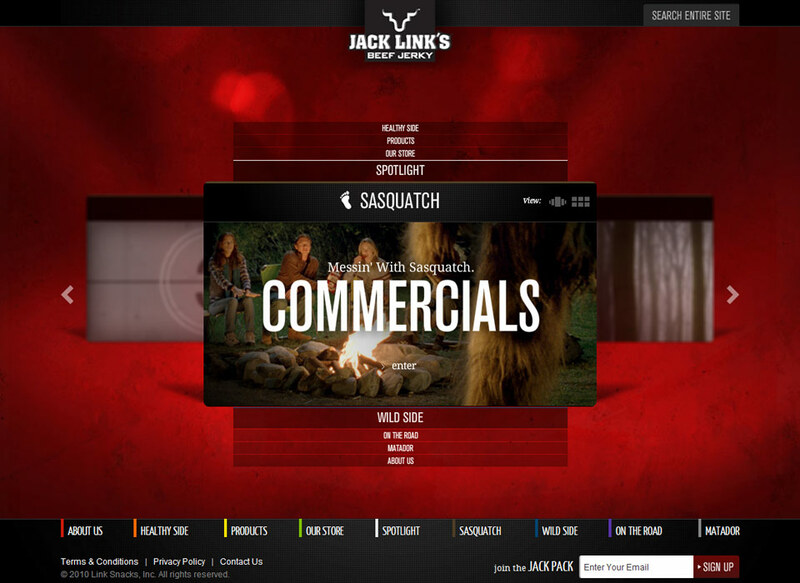 The tremendous volume of content in the site is editable by Jack Link’s through a content management system.